Fox Valley Christian Academy (FVCA) has provided quality Christian education for students in the Fox Valley area for 40 years, offering programming for students in preschool through 8th grade. FVCA builds a foundation of faith in students and is a ministry of Calvary Bible Church in Neenah, WI. Our mission continues to be to help students fulfill the mandate Christ has given to every believer to "love the Lord your God with all your heart, and with all your soul, and with all your mind, and with all your strength. And love your neighbor as yourself." (from Mark 12.30-31) We desire for our students to impact their world and future generations for the cause of Christ, to live lives underscored by an unrelenting love for their Savior and a desire to serve others because of Christ. Students have an abundance of opportunities for growth in spiritual, academic, social, and physical areas of development. Avenues for spiritual growth include Bible instruction, morning devotions, weekly chapels, school mission projects, and Scripture memorization. Biblical truth is integrated into all subject areas, teaching students discernment as they develop a Biblical worldview. FVCA teaches responsible behavior, decision-making skills, and respect for family and government. Leadership development is encouraged through opportunities for involvement with yearbook staff, school projects, and social events. Soccer leagues, competitive volleyball and basketball teams are available to students, in addition to physical education classes, recess and ski club. 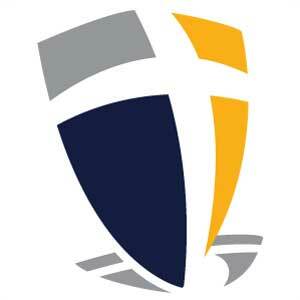 Fox Valley Christian Academy has been a member of the Association of Christian Schools International (ACSI) since 1981. We would welcome the opportunity to answer your questions, provide a tour of our campus, and share with you just what makes the Fox Valley Christian Academy experience unique.